Here is YouTube offering Google+ Updates on YouTube in the alpha Google+ test. Short story long, I set up a profile for a friend and Google gave me the secret goods…. Here is the Google+ YouTube integration we all have been predicting and waiting for. Take that Facebook! After years of waiting, we now have what Google Wave promised, the final integration or YouTube and Google, via social sharing. Much thanks to my new friend Jarrett Perryman for helping me discover the new Google Plus version of YouTube, “YouTube Plus”! How can you get this? Without having to create a YouTube account immediately we saw YouTube Integrated With The Google Bar as soon as we created Jarrett’s account. Seems this is only offered so far to new users, or older users that have the same username on both G+ and YouTube. How Do You Get That? When you post a comment on YouTube you may be offered your Google+ name on YouTube as well. Then Google Plus users report that at that point, they immediately see this new Google+ bar integration. However that leaves me out for now, since my profile at http://YouTube.com/IamChrisLang is not going to offer me http://YouTube.com/ChrisLang since that account is shut down due to previous user long ago. So where does that leave me and other users in the same boat? First I would see if your real name is a banned account created by someone else, or an account in use already. If not, then there is immediate hope for you. As I said above, users report that when casting comments on YouTube they are offered the upgrade, and then the YouTube sharing G+ bar appears like in the screenshots above. This entry was written by Chris Lang, posted on August 27, 2012 at 9:38 pm, and filed under Google + Plus, YouTube. It has not yet reached my account. Thanks for the heads up on this – not seeing this yet in the UK but will keep an eye out for it. Thanks for the heads up Chris. I’ll be sure to share this. Looks like a Profile and not a Page (for now)… is this only on Brand new YouTube/G+ accounts (for now)? Not yet on any of my ‘older’ accounts… looking forward to when it does show up! Thanks for the head’s up Chris. I don’t see it on my account yet either, but it all makes sense with Google+ integration on YouTube. Thanks for the heads up Chris! 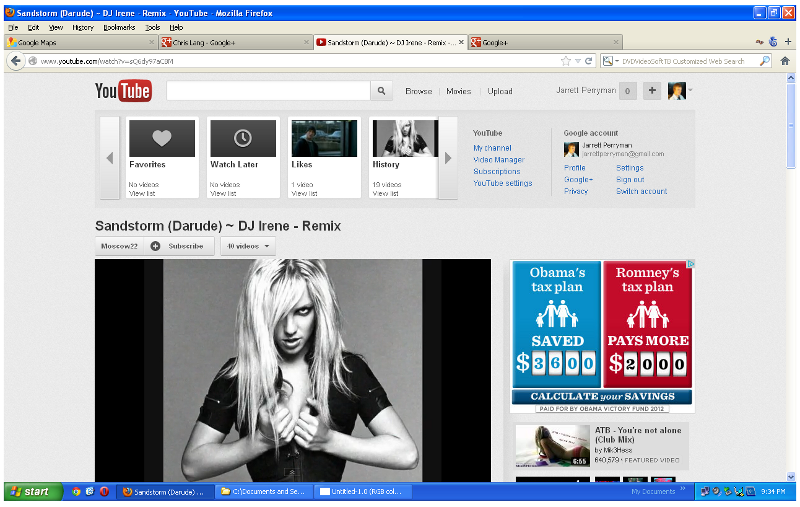 Been waiting for YouTube to properly integrate with Google Plus for a while! Here’s an older video I found about this: http://youtu.be/x0V5Obkgk78 Is this still relevant? No, authorship and changed so much Frank that things change daily. I updated the post to include how you get this new bar in these early stages. Be sure to read the bottom of the post where I updated it. i’m UK based and G+ profile icons have showed up on mine!.. however, how do i share/social etc from a my business google+ PAGE? .. wondering how to best intergrate this with my biz page and see if theres and SEM benifit from it? .. any ideas? It seems that my YT account and G+ account were integrated a while ago. I remember being asked if I wanted my YT account to have my RocqueBowen name attached to it and I said, “yes”. I hope in the long run it gets me more views around the net. My YT account is sort of a hodge podge of things, but my main focus now is family friendly animations. It looks like Jarrett will be able to “take off” on her success with your help, Chris. Hi Chris, We just started over with both our YouTube Channel and Google Plus account to have the same brand connected. The G+ business page matches but not my personal account. Clearly Google is gearing up for stronger authorship but I hope they don’t get too carried away and start forcing personal accounts before business pages.